Tammany boss Richard Croker is born in Cork. His family emigrated to the United States three years later. 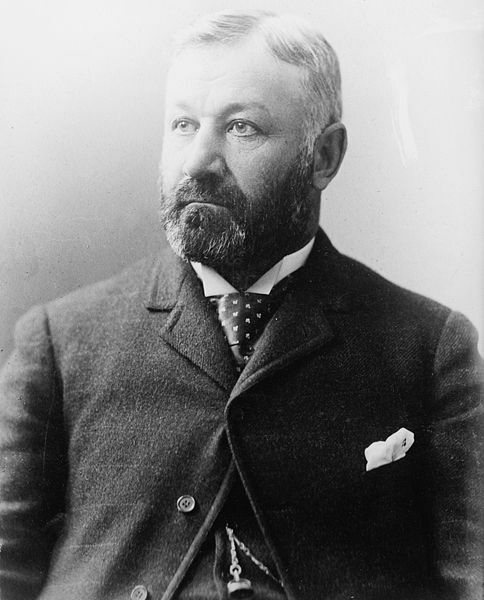 Croker was leader of the often corrupt New York Democratic machine between 1886-1902. He famously was acquitted on a murder charge arising from a killing during an election brawl. 1867: Manchester Martyrs are hanged. 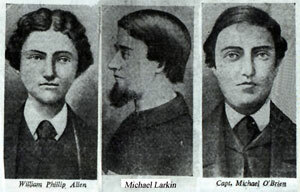 Three members of the Irish Republican Brotherhood, William Philip Allen, Michael Larkin, and Michael O’Brien are executed for the murder of a police officer in Manchester, England, in 1867. The trio were members of a group Fenians who helped two two members of the IRB – Thomas Kelly and Timothy Deasy to escape from police custody following a well planned ambush by colleagues. During the escape Manchester police Sergeant Brett wass killed. The attack would result in the execution of three Fenians on this day in 1867– William Philip Allen, Michael Larkin, and Michael O’Brien who would become known as the Manchester Martyrs in Irish folklore. Their exploits and execution inspired Irish nationalist T.D. Sullivan to write God Save Ireland, a song that every God-fearing young schoolboy had beaten into him by the Christian Brothers through much of the twentieth century. There is little doubt that the men were involved in the escape attempt where Sergeant Brett was killed, but all three men maintained their innocence and stated their regret about the policeman’s death. The fallout from Bloody Sunday continues. IRA volunteer Thomas Whelan is arrested for his involvement in the executions of the so called Cairo gang. He would be hanged by British authorities March 21 1921. Thomas McMahon, a member of the Irish Republican Army (IRA), is sentenced to life imprisonment for preparing and planting the bomb that killed Lord Louis Mountbatten and three others in County Sligo. 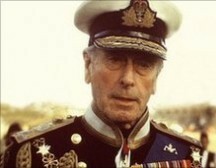 Mountbatten regularly holidayed in the West of Ireland. The bomb exploded on his boat some minutes after he and family friends had departed the little port of Mullaghmore. Mountbatten’s grandson Nicholas, 14, and fifteen year old local, Paul Maxwell, 15, employed as a boat boy were also killed. Another passenger, the Dowager Lady Brabourne, 82, died the day after the attack. McMahon was released in 1998 under the Good Friday Agreement.